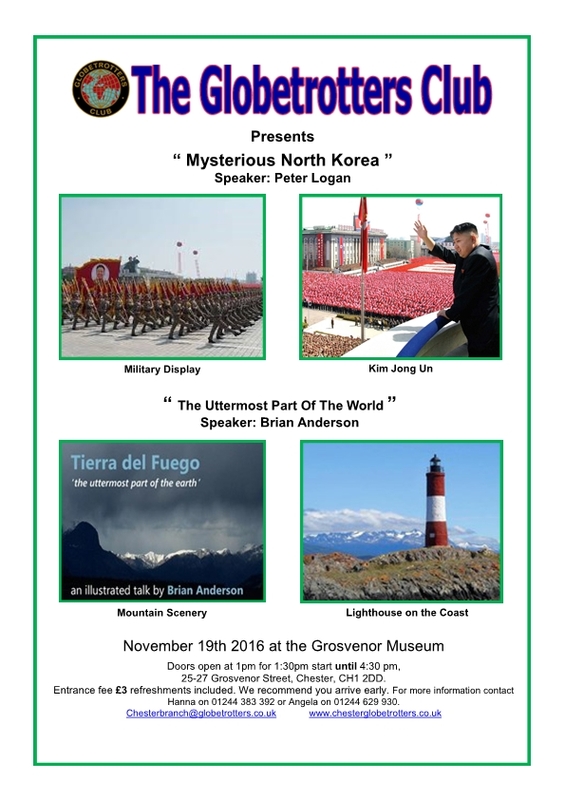 This is an illustrated talk accompanying his photographic slides, of his two visits to North Korea describing Pyongyang (the showpiece capital), the De-Militarized Zone (DMZ) with South Korea and the Mountainous interior. Originally from Lytham St Annes, he worked as an HM Immigration Officer at Southampton, Heathrow Airport, Dover and latterly at Aberdeen, involved with personnel on the North Sea oil rigs. In 1519 Magellan became the first European to navigate a wild and remote channel linking the Atlantic and Pacific oceans. Sailing in search of a westward route to the Spice Islands, Magellan sighted many fires along the coastline. His sailors christened this uncharted area “Tierra del Fuego” or ‘The Land of Fire’. Sailing the same waters in 1577, Sir Francis Drake described this southern tip of South America as “the uttermost part of the earth”. Charles Darwin visited the region in 1832 and 1833 and described the Fuegian tribes as “The most uncivilised savages” he had ever encountered. Join Brian for the incredible story of Tierra Del Fuego and view his stunning landscape and wildlife images from 4 expeditions to the region. You will see the fuegian red fox, Penguins, Sea lions, magnificent caracaras, skuas and shags, plus many other animals and plants which survive in this most remote and inhospitable region of the southern hemisphere.